Join our family of over 1 million customers who count on OFS for their projects. We’ve spent decades building relationships with suppliers, so you can be confident that whenever you buy, you will be getting a fantastic price! Have a question? Looking for that hard-to-find fabric? Just Ask! Our knowledgeable customer service is here to help. Get free shipping on orders of $60 or more. See details. Be sure to visit OFS Maker’s Mill where you’ll find tutorials, product guides, and ideas. 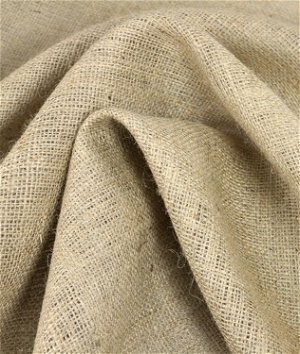 Burlap is a 100% jute material that’s perfect for lawn and garden projects, crafts, home decorating, and wedding décor. 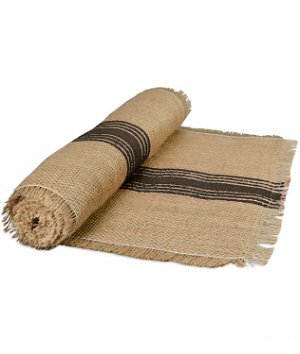 Choose from our selection of natural burlap, dyed color burlap, or other specialty jute fabrics. 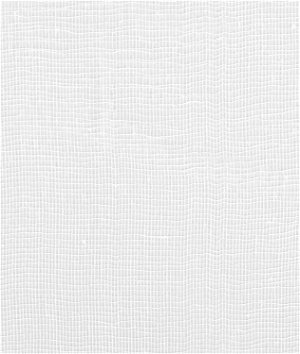 Canvas fabric, also known as cotton duck, is a durable utility fabric that can also be used for décor, crafts, and apparel like jackets. 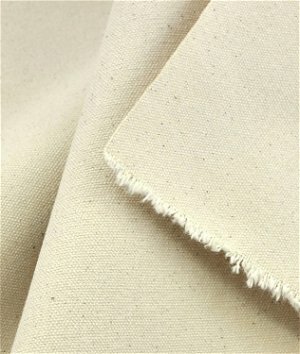 We carry both natural canvas and many colors of dyed canvas in a variety of weights. Cheesecloth is a loosely woven fabric available in various grades that’s commonly used for straining sauces and making cheese. It’s also great for wiping and polishing, draping at weddings, theater backdrops, and Halloween decorations and costumes. Popular in dressmaking and theatrical design, muslin can also be used for crafts, home décor projects, and more. 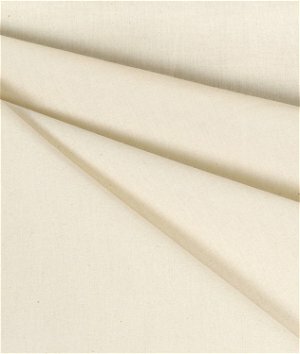 We carry a wide selection of bleached muslin and unbleached muslin in a variety of widths and weights. Drapery lining not only makes window treatments look better visually, it also adds a functional component to them. Use blackout lining or insulating drapery lining to block light, sound, and cold drafts. From ultra-thin 4 gauge clear vinyl to heavy duty 60 gauge clear vinyl, we carry the perfect vinyl for your automotive, marine, and home project needs. 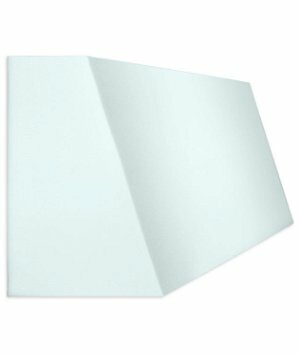 This non-yellowing and waterproof clear vinyl can withstand the elements in extreme hot and cold environments. Shop our selection of pillow forms in many sizes and shapes including round and bolster pillows. 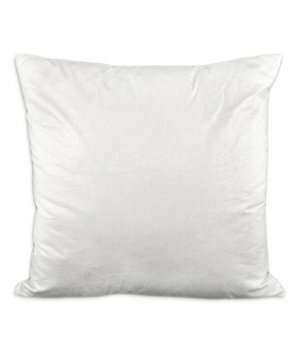 Choose from down pillow inserts, polyester pillows, or inserts filled with a down and polyester blend. Available in a range of sizes, upholstery foam is essential for many indoor, outdoor, and marine applications. We also offer other varieties of foam including acoustic foam, packing foam, mattress foam, and sew foam. Burlap bags are great for storage, landscaping, crafts, home décor, and sack races! 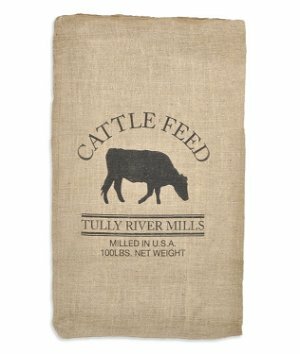 We offer hydrocarbon free burlap bags, printed burlap bags, and authentic used burlap coffee bags. If you’re planning a wedding or a party, take a look at our event decorations including table runners, tablecloths, and aisle runners. We also offer favor bags and ribbon in a variety of materials. We offer a wide selection of durable upholstery fabrics for couches, slipcovers, dining chairs, ottomans, headboards, and more. Shop upholstery materials like velvet, vinyl, denim, ticking, and designer upholstery fabric. Durable, water-resistant outdoor fabric can be used both indoors and out for upholstery, throw pillows, curtains, and bags. Sunbrella fabric is popular for patio furniture, marine upholstery, boat covers, awnings, and more. Vinyl fabric can be used for both decorative and utility purposes. 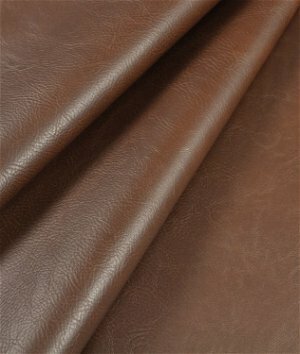 Upholstery vinyl and PVC-free faux leather are great for upholstered furniture, auto and marine upholstery, and even handbags. 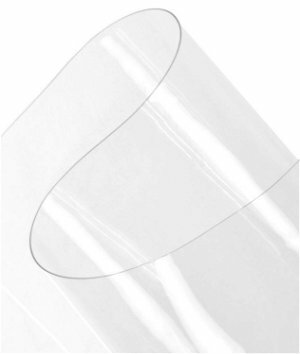 Our selection of utility vinyl includes clear vinyl, flannel backed vinyl, and tarp vinyl. 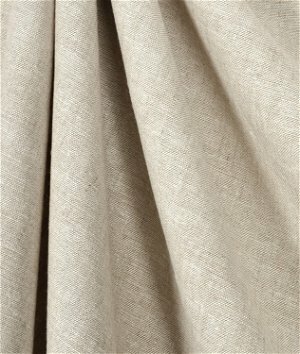 Known for being both durable and breathable, linen fabric provides a casual yet elegant look for curtains and apparel. 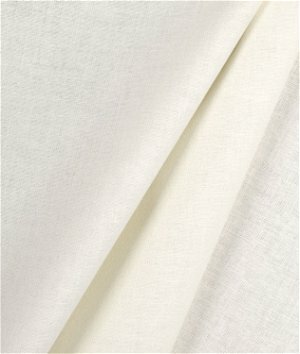 Our linen is available in many colors and weights including lightweight Irish linen, and heavyweight Belgian linen. Broadcloth is an all-purpose, lightweight fabric commonly used for quilts, clothing, accessories, bias tape, linings, and much more. With dozens of colors to choose from, broadcloth is available in either 100% cotton or a poly/cotton blend. Commonly used as a theater backdrop, scrim has many other uses including airy curtains, photography light diffusers, and wedding draping. 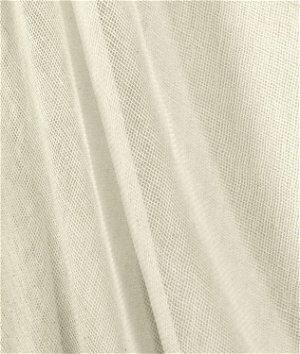 Our affordable cotton scrim is a semi-sheer, gauzy material offered in both white and natural. 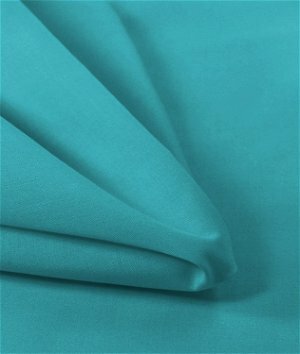 Satin is a popular fashion and apparel fabric that is available in many styles. 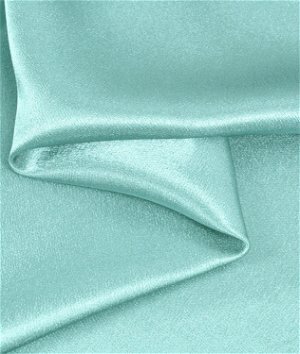 Lustrous bridal satin is perfect for formalwear, apparel lining, and costumes. Satin can also be used for event décor like backdrops and tablecloths. 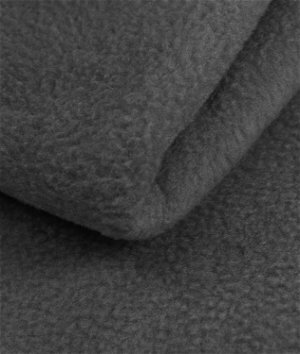 Fleece is a soft and warm material that is popular for making blankets, scarves, mittens, hats, and jackets. It’s available in a variety of colors and prints including NFL fleece and other licensed prints. 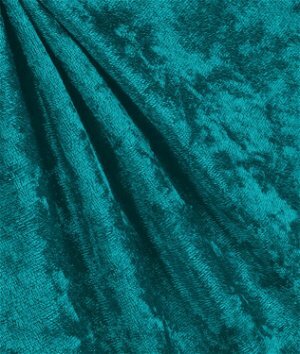 Velvet is a soft plush fabric that is available in a variety of styles. Lightweight apparel velvet tends to have more stretch which is great for clothing and costumes. 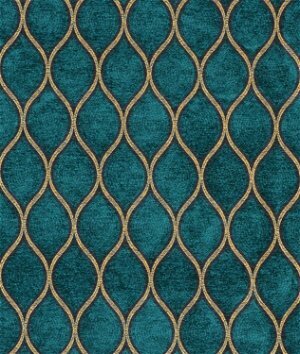 Durable upholstery velvet has a stiff backing and is suitable for high traffic furniture. 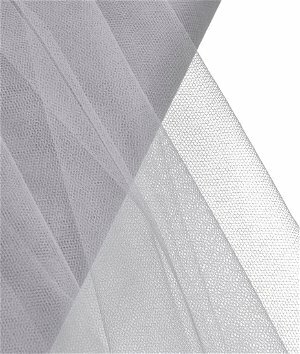 Tulle is a fine netting used for apparel, hats, tutus, and event decorations. It’s often used to create volume under skirts and dresses. We offer tulle by the bolt, glitter tulle by the yard, and spools of decorative tulle.